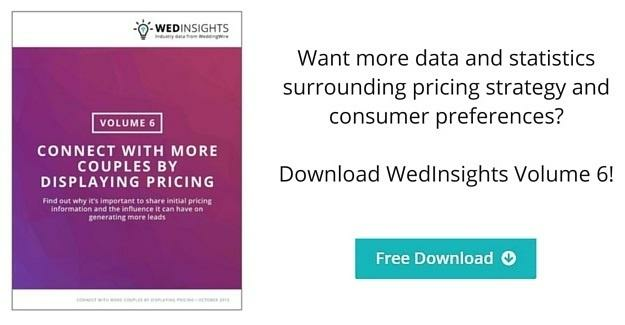 Although showing any pricing information is better than none, our data shows that couples prefer to see pricing packages as they provide more digestible information in a simplified way. As an expert in your industry, you know what most couples want for their wedding day, so it’s important that you guide prospective clients and educate them on what’s most common. Even if you’re flexible with your pricing and packages, it’s helpful to give couples a starting point. When it comes to displaying pricing information, the important part is making the customer feel like there is a potential match in price points upfront – that opens the door for you to sell yourself and the expertise you can provide!